Fall has entered boldly and so it is important to make sure we are adapting ourselves to the unique energies of the season. Maintaining our health means it's important to be aware of how seasonal changes can affect us. ﻿Here's an update on classes and other activities for Studio Mugen. Saturday, Oct. 19, 11:00 a.m. This is a special workshop to learn how to make traditional style handmade pickles, gomashio (sesame salt), shio kombu and tekka miso. You also will learn the health value of these condiments. Fee: $60 (Pay pal $63) ingredients are included. Sunday, Oct. 20, 10:00 a.m. This is a special workshop regarding healing and women's health according to Five Elements theory in Japanese. Saturday, Oct. 26, 3 p.m.
Every Saturday afternoon I offer one hour to sit and meditate with anybody who is willing to practice. I practice Vipassana meditation. We welcome anybody including people who have never practiced meditation or people who have practiced any style of meditation. I will be preparing an organic Kukicha (twig tea) or Barley tea or Sanae's original organic non-caffeine tea. Suggested Donation of $5 cash for using the Studio Mugen space. Studio Mugen is an Eco-friendly environment with a wood floor and you must take off shoes inside. Please bring room shoes or thick socks. Please RSVP in case we have to cancel due to not enough people signing up. I look forward to sitting with you and practice being at peace within ourselves. Sunday, Oct. 27, 10:00 a.m.
Fee: $35 cash (or $38 for Paypal) with Lunch (soup, desserts and drinks are not included). 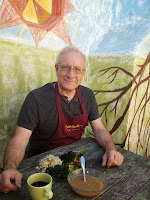 In this class you will learn how to make Remedy drink for a healthy thyroid, learn how to cook Vegan Macrobiotic plant-base food, and we'll discuss new moon or full moon wishes for each month's energy and to get your wishes to come true. Must have 5 registered guests to offer class. 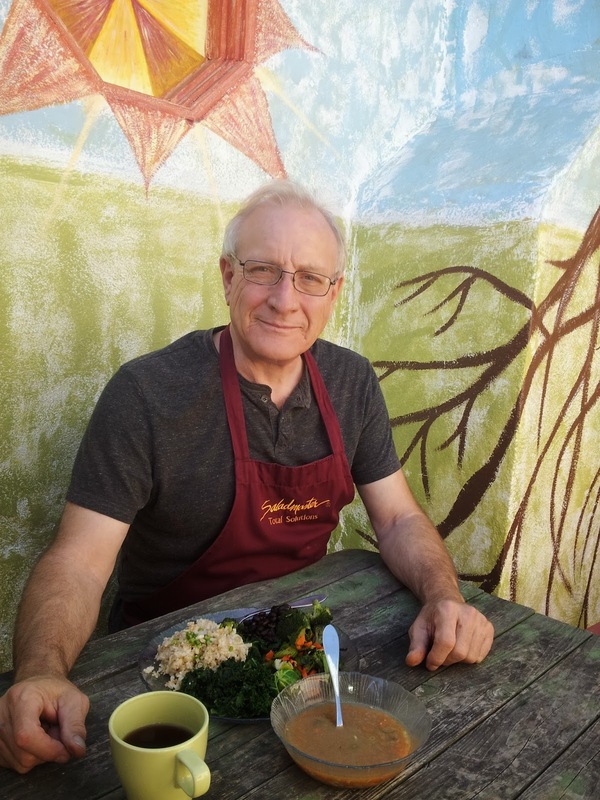 By the way, many men attend the class not only to support their partner, but they get to learn about vegan macrobiotic health too! Sunday, Nov. 3, 9 a.m. - 4 p.m.
A day-long event with various health-oriented presenters discussing a variety of subjects. Chef Eric Lechasseur will give a talk/cooking presentation. Other speakers include: Dr. Neal Bernard, Physicians Committee for Responsible Medicine; Dr. Alan Goldhamer, TrueNorth Health Center, and John Pierre, celebrity fitness guru and author of Pillars of Health; and Chef AJ, author of Unprocessed. The web site will give a full listing of participants and activities. In addition, with the change of seasons if you want macrobiotic health counseling or personal cooking instruction, please let me know. A recent experience gave me an object lesson on food as energy and the power it has to affect our bodies and emotions. Sanae Suzuki is my macrobiotic counselor and heading into autumn I found that my energy and my body had become quite contracted, that is very tight. I experienced physical stiffness in my body, had a hard time relaxing and sleeping and behaviorally I became quite pushy, irritable and not able to sleep. My wife even commented on my rigid behaviors and started to be concerned. I realized how the energy of food affects me both physically and behaviorally, and that it can impact my mind and emotions. 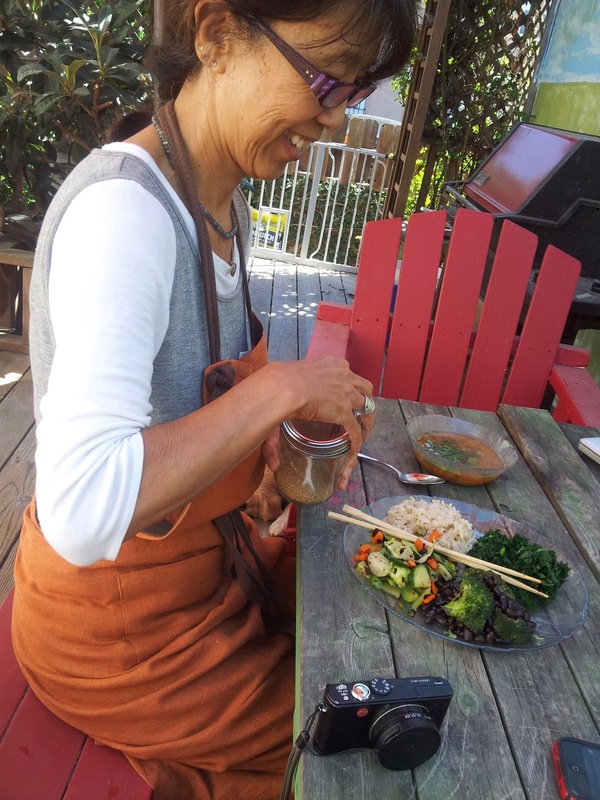 In weekly counseling Sanae and I had always discussed my diet and recipes and other aspects of my macrobiotic lifestyle. However, recently we decided to look at how I was cooking. What we discovered is that I had been cooking brown rice and beans by pressure cooking pots and steaming my vegetables instead of water sautéed and/or boiling for a long time and all through the summer. We determined that this meant that I was creating a lot of contracted energy in my body through this cooking style. Sanae taught me that macrobiotics is not just what kind of ingredients we use for our cooking and eating. It is also about how to cook and what kind of equipment you use for your own condition. Learning about our energy is to learn about food and style of cooking, equipment that we use and adapting as seasons change, our physical and mental condition changes, and more. 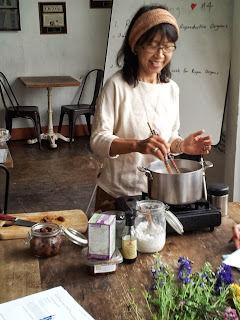 Next we determined what to change in my cooking style, my recipes and determined what macrobiotic remedy to use to help get my body back in balance. After several days of my adjusted program I have noticed welcome changes to my body and energy and have become more relaxed and easy going…and have returned to a relaxed sleep pattern. I am thankful that my path has led me to studying macrobiotics and learning about the energy of food and how it can affect us physically and behaviorally. This incident showed me how important it is to understand the energy of food to maintain the best health. A greater lesson to me is the value of having a counselor/advisor who can help me understand this path I am on. I encourage anyone who is seeking to improve their health physically, mentally or to strengthen the spirit to take an active interest in learning how food as energy can affect your life. Also consider a counselor to ensure that you don’t walk that path by yourself.